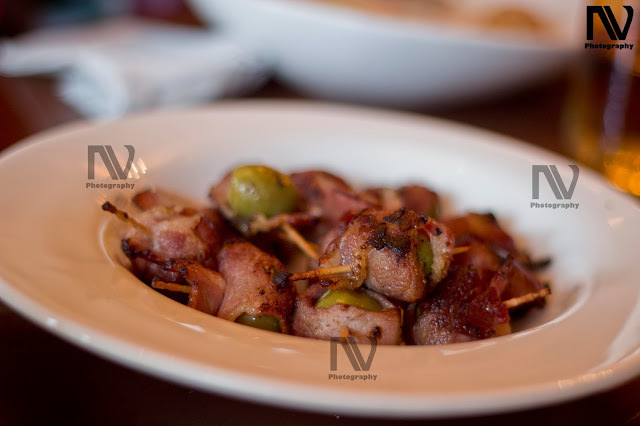 Pintxo (or Pincho) is a small snack eaten in bars or taverns while rejoicing with friends and family. 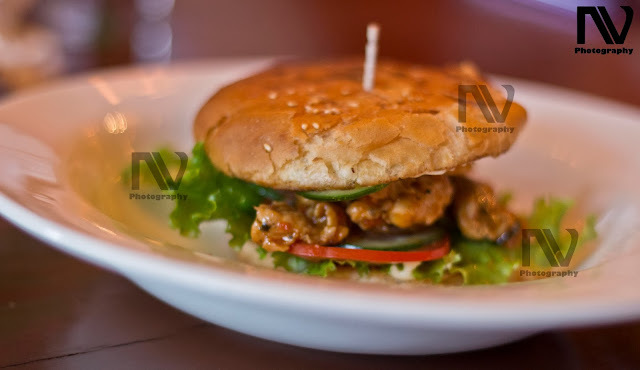 The name of the restaurant is quite self explanatory and gives you a feel of the experience one is going to have there. Located in the heart of Gurgaon, in the Galleria Market, this small but lively tapas restaurant serves authentic spanish food. The interiors of Pintxo are warm and cozy with a lively atmosphere where one can enjoy his/her meal. The insides are wonderfully decorated with thick wooden tables and multi filament Marconi bulbs on the chandeliers hanging from the ceiling. To get the most of the customers, they have aligned their chairs quite close to each other like every other Galleria restaurant which hampers privacy to some extent. 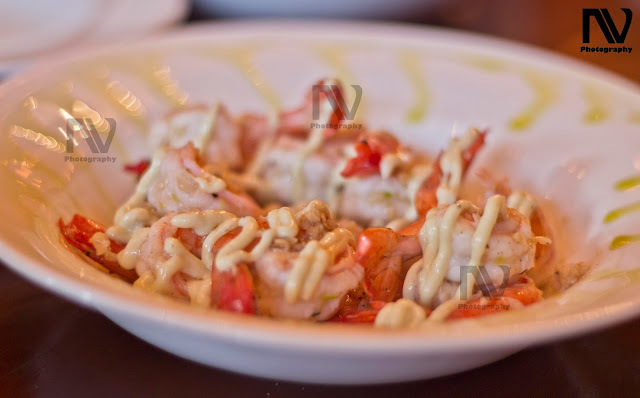 Pintxo boasts of their preparation of the best Hispanic food in India and they truly live up to the dream. 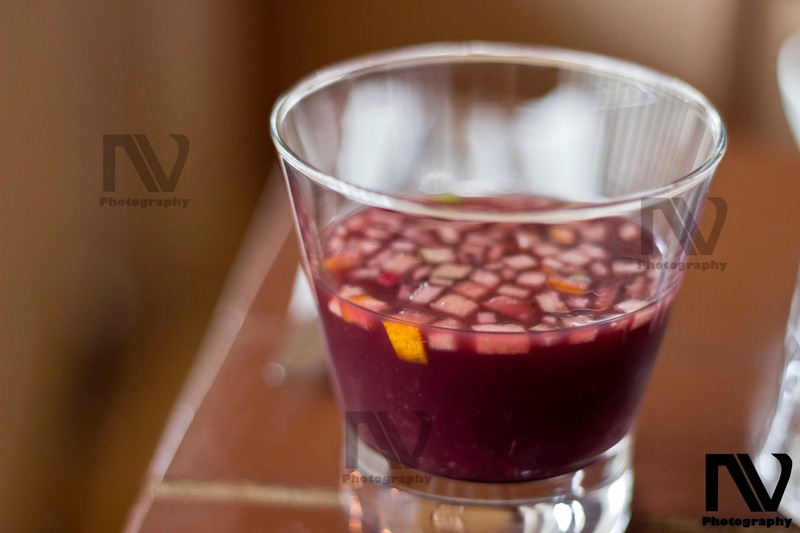 Their Virgin Sangria is one of the best I have tasted. Coming from the spanish word 'sangre' meaning blood, this non-alcoholic version served with apple chunks and lime zest is so good that you hardly miss the alcohol. Prepared for a multi-course meal, we tried their Gazpacho soup next. 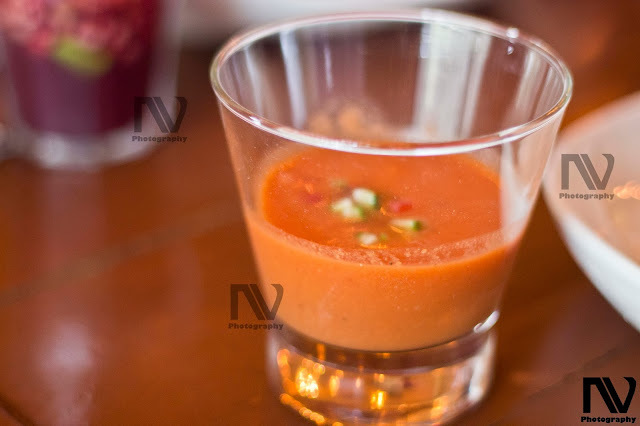 Traditionally served cold, the Gazpacho is made in a thick tomato base with diced tomatoes and cucumber to form the perfect summer soup. It cools the body with stupendous effectiveness, giving competition to beer and lemon iced tea. 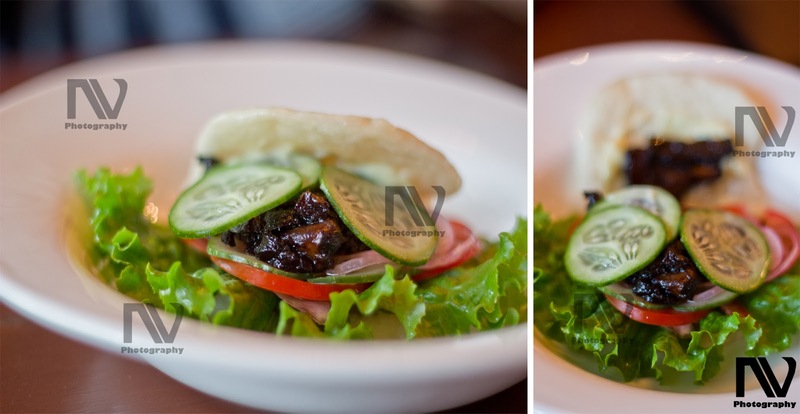 We then moved onto the main food, where we ravished the Pork Belly and Chicken Sliders with great ferocity. 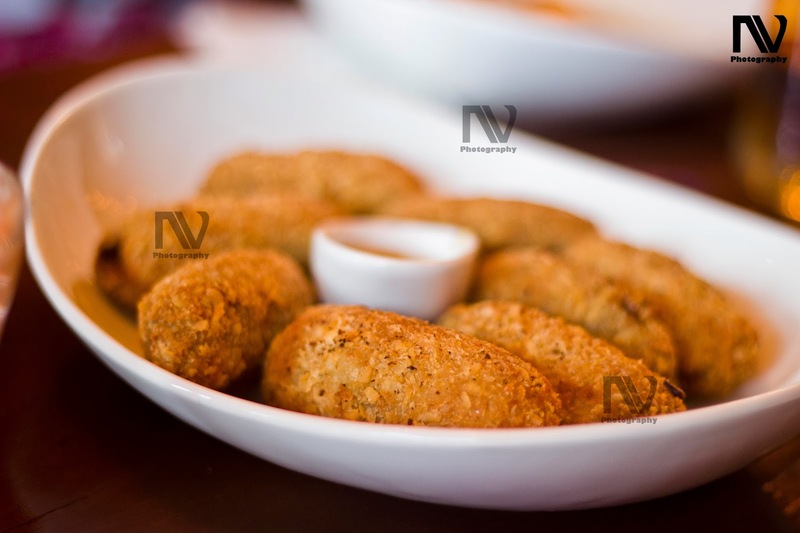 Sliders are essentially vada pavs/burgers with rich meat and vegetable filling. The Pintxo slider buns are baked in-house and very nice and soft feel to it when served hot. The additional mild fermented flavour might be disliked by some, though it is pretty essential for the bun to remain soft. 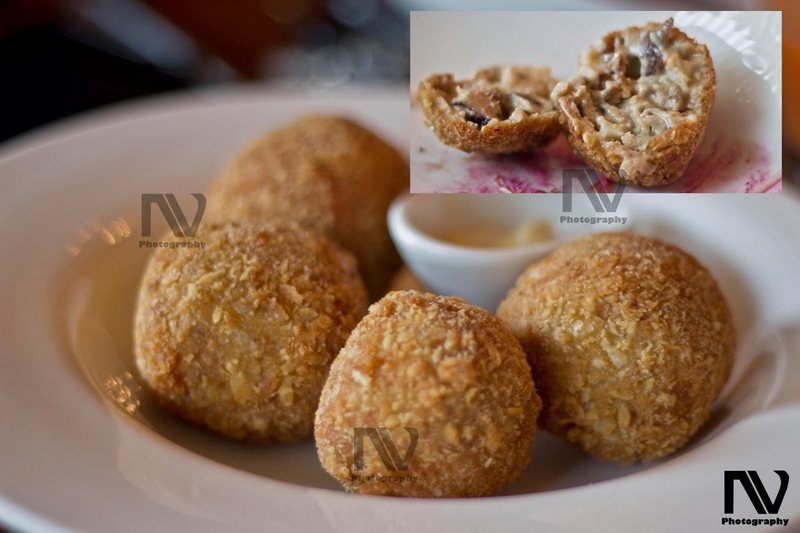 The Ham and Mushroom Croquettes are another specialty of Pintxo. 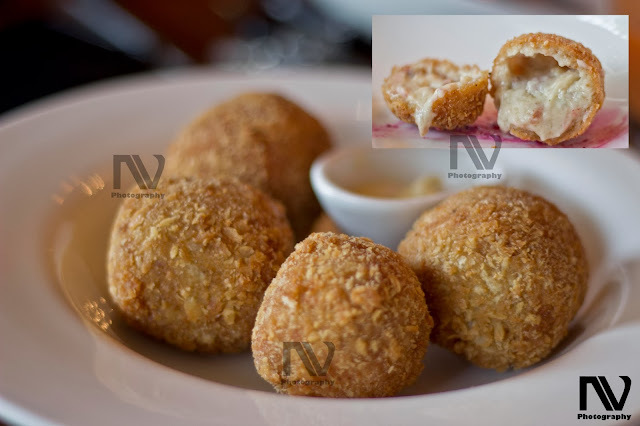 These small breadcrumbed fried food rolls are served with cheesy garlic mayonnaise dip which is an absolute delight. They use Porcini and Shiitake mushrooms in these croquettes as it gives the best taste and are also the more healthier alternatives. We next dug into the Tomato Bruschettas, the Beetroot Ravioli and the Aceitunas. 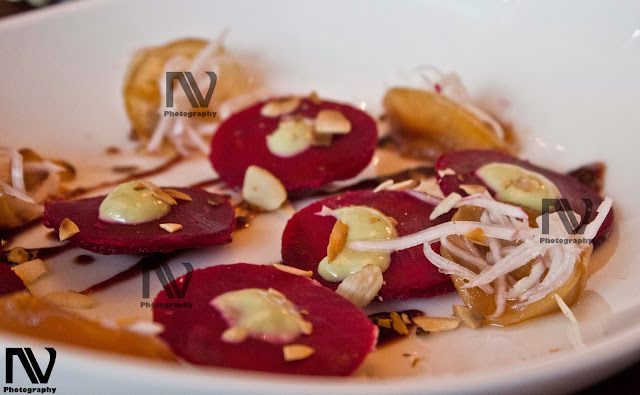 Though I am not a very big fan of vegetarian food, the Pintxo preparations never ceased to amaze me. 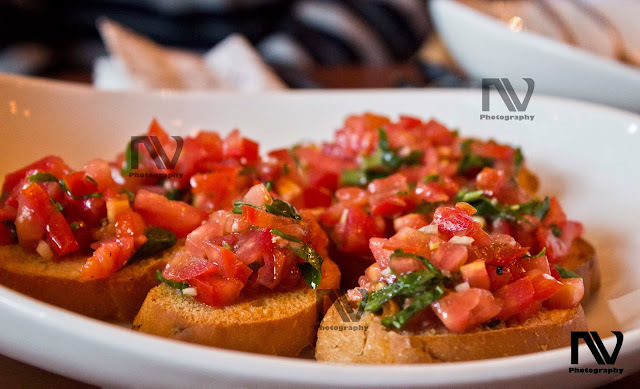 Made with finely chopped tomatoes and coriander on buttered and toasted bread, the Bruschettas were made in truffle oil. The Truffle oil makes the bread sweeter while helping the stomach digest the acidic tomatoes. 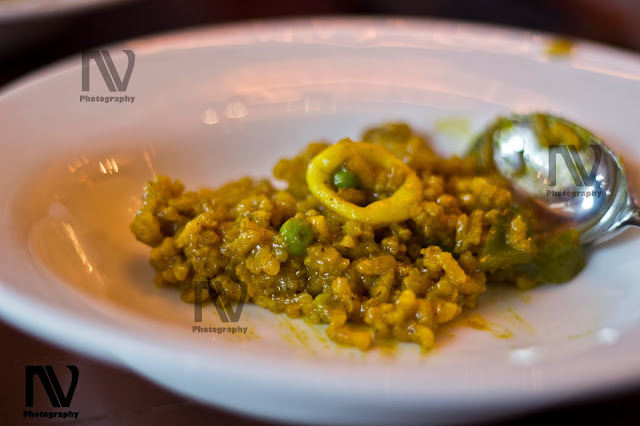 The Seafood Paella, which we had next was a type of an Indian khichdi with squids and prawns. Though the dish was slightly burnt, the rich Spanish flavours enticed us to a great extent as we found out that the dish initially originated in Valencia and later spread throughout the world due to its subtle taste. Almost full, we moved on to the desserts which comprised of the Flan and Poached Pear with Ice-Cream. 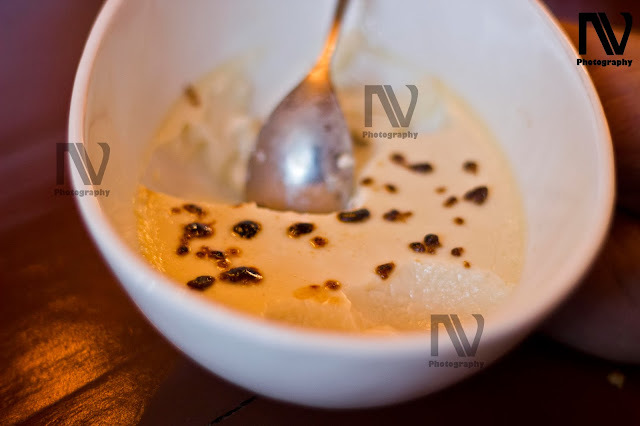 The Flan was more or less a sweet custard with burnt and caramelised sugar sprinkled on top to complement the sweetness with a bitter taste. 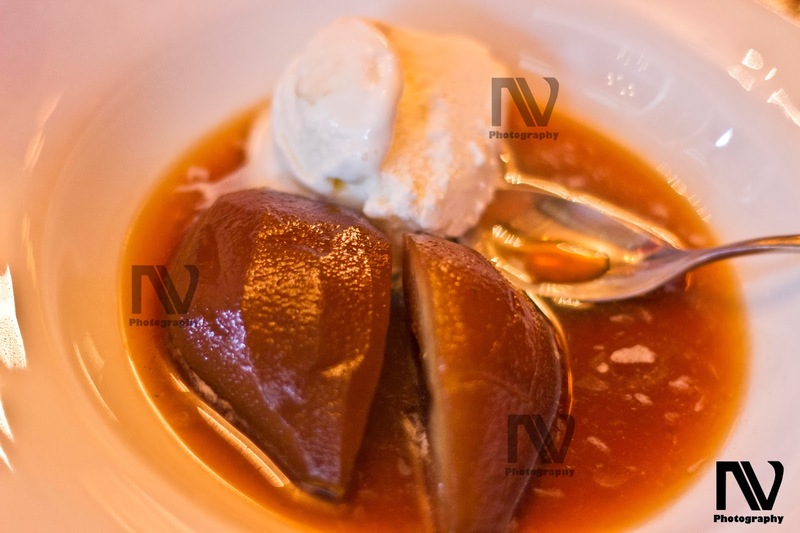 The Poached pear too was wonderful and had a cinnamon base to it liked and devoured by one and all. 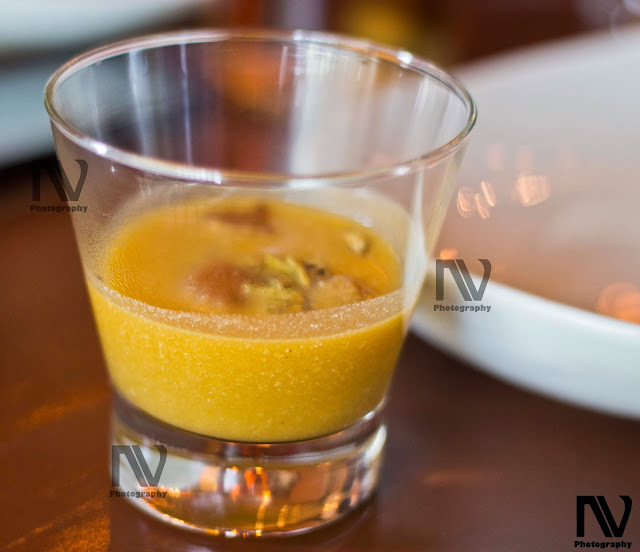 Though the place is small, Pintxo is beautifully decorated with exceptional food quality and quantity making it a worthwhile visit for food connoisseurs and adventurers.